Nadine is a property lawyer and provides advice on a wide range of residential property issues. Nadine is a residential conveyancing specialist. She works on a wide spectrum of property issues including buying and selling houses, landlord and tenant matters (for both landlords and tenants) and provides general property advice. 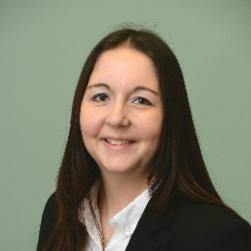 Nadine qualified as a solicitor in 2009 and joined Actons in 2013. In her spare time she is a busy mum and enjoys travelling and socialising with friends. "I have used Actons Solicitors twice. 1st time the making of our Wills which was done at a very stressful time and because of their care and consideration I naturally went to them again when I was selling and buying property, I received the same care and attention the second time around. Thank you so much."